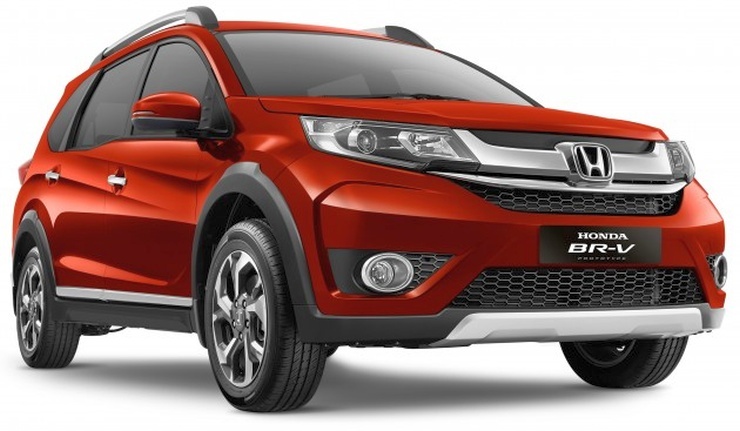 Honda BR-V to challenge the XUV instead of the Creta/Ecosport? 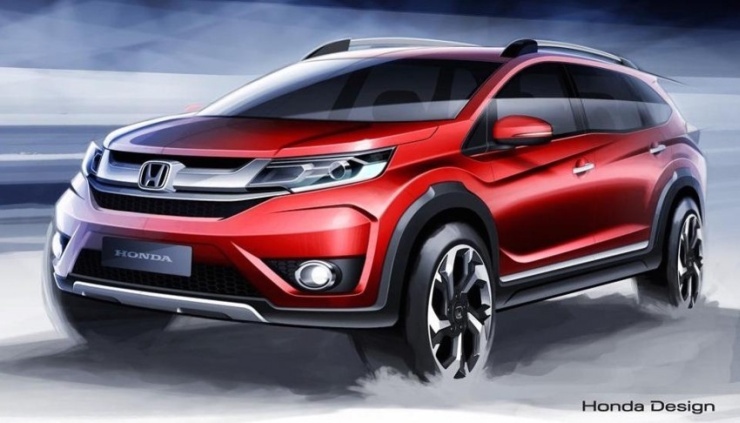 As you’re reading this, the Honda BR-V is being media previewed at Japan. More information about the compact SUV, which will be showcased at the 2016 Indian Auto Expo, has been revealed. An official India launch for the BR-V will happen sometime in the middle of next year, and the SUV is Honda’s most important launch for next year. Based on the Brio platform, which also underpins the Brio, Amaze and Mobilio, the BR-V was thought to be a Renault Duster/Hyundai Creta competitor. The latest details suggest otherwise, and here’s why the BR-V could challenge the XUV instead of the Creta/Ecosport. At 4.46 meters in length, the BR-V is clearly longer than both the Renault Duster and the Hyundai Creta, which measure about 4.2 meters long. The Ford Ecosport is way smaller than the BR-V, with a sub-4 meter length. 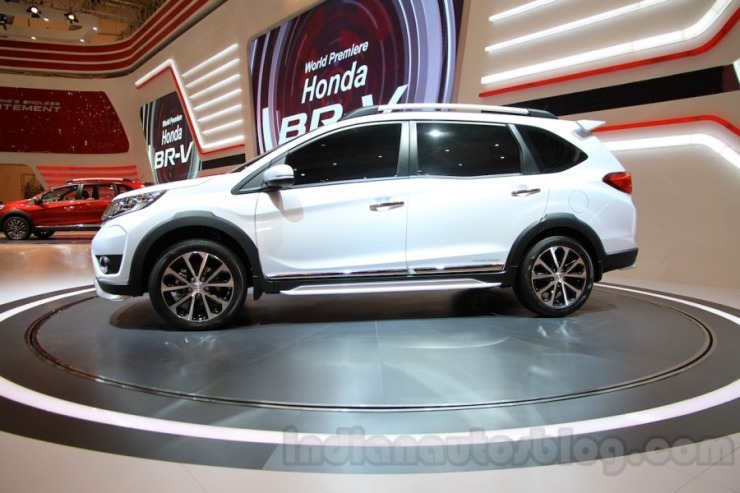 This length makes the new SUV from Honda longer than every other compact SUV sold in India. In fact, the new vehicle longer than even the Mahindra Scorpio, and just 100 mm shorter than the CR-V. But the Scorpio is a ladder frame SUV, and is quite different from the crossover that the BR-V is. 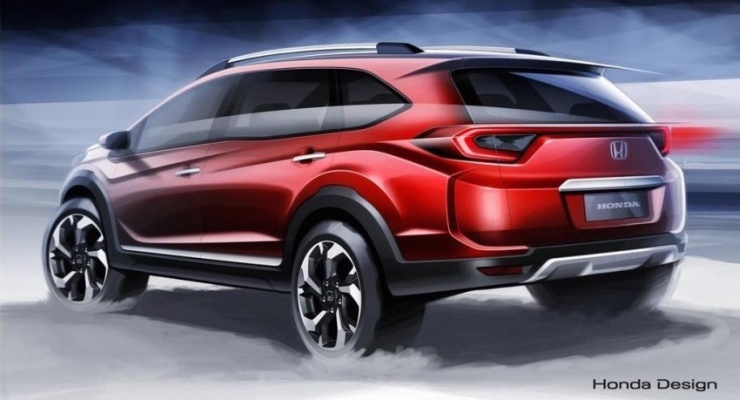 So, the XUV500 could be the logical target of the new Honda SUV, which will market its refinement and space. 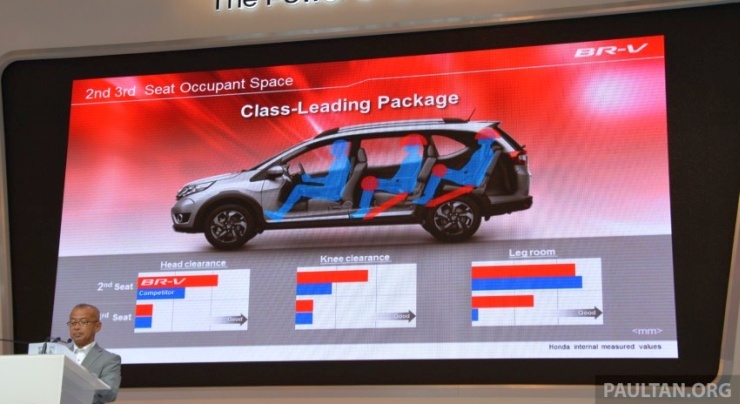 Most compact SUVs (Read Ecosport, Duster and Creta) sold in India make do with a 5 seat layout. 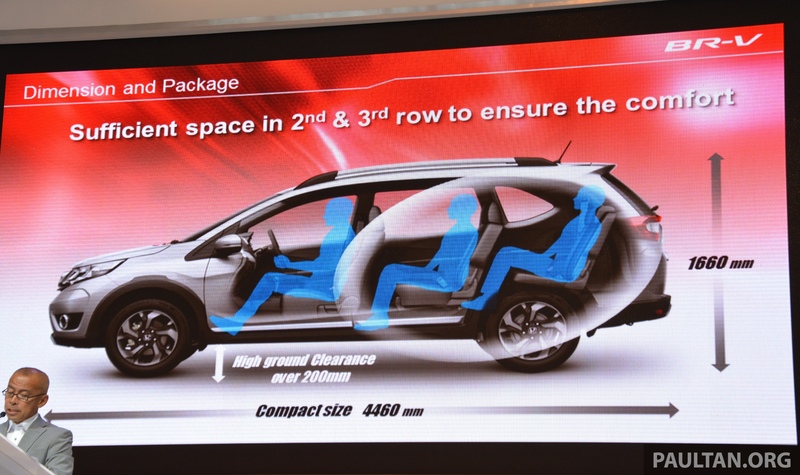 However, the upcoming BR-V, which shares it underpinning with the Mobilio MPV, offers 7 seats in a three row layout. Apart from the sub-4 meter TUV300, whose 7 seat layout is more for marketing than for practical utility, 7 seat layouts are only offered by larger SUVs such as the Mahindra Scorpio, XUV500 and the Tata Safari. This seating layout, combined with its longer length, means that the BR-V could be a rival to the Scorpio/XUV500 rather than the Duster/Creta/Terrano brigade. Pricing is a big issue, and we haven’t decided the price as investigations are on. A lot of SUVs are coming out now. What volume we aim for will decide the pricing. This indicates that Honda could go in for a premium pricing strategy for the BR-V, similar to what Hyundai has done with the Creta. The Creta’s big success might prompt Honda to price the BR-V at a premium, choosing to take on the Mahindra XUV500, and earning fatter profits, rather than going after numbers by pricing the 7 seat SUV at 5 seater prices.